A common issue when transposing data set is having more than 1 observation in the ID group. 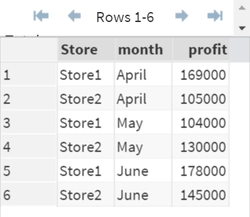 The Q2 data set contains the profit generated in the second quarter for two retail stores. There are 2 profits per month. 1 for each store. Now, let’s transpose the data set. The Log Window shows an error message! The problem when transposing this data set is that there are more than 1 observation in each of the ID groups. For example, there are 2 observations for the month of April. 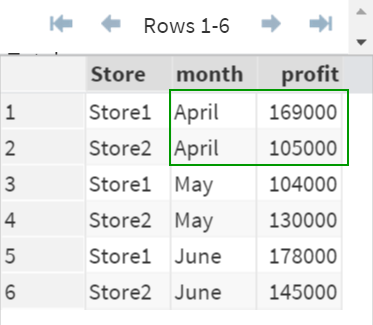 The month of April will be transposed into a single column. Having two observations will cause an error. This issue can be resolved by simply adding a BY statement. 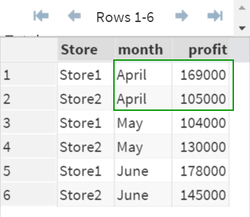 The BY statement allows you to transpose the data set for the two different stores. Please note that the data set was sorted prior to being transposed. This is needed when having the BY statement in Proc Transpose. 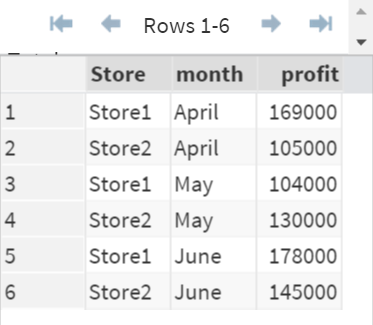 Transpose the data set so that the prices from each airline is listed in individual columns. Calculate the minimum price among all the airlines in each route.